I'm running a little late with this week's LOST posting, but I am sure that is okay to the few people who actually come here for information on the show. 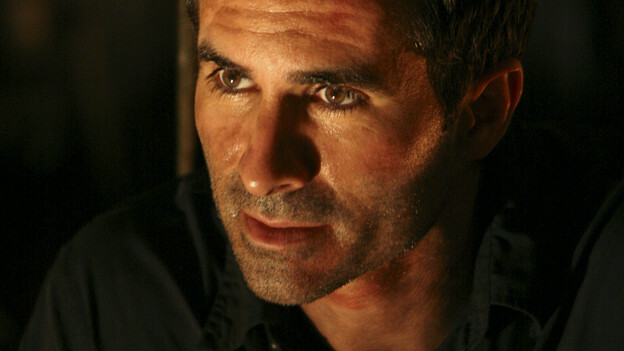 This week's episode, Ab Aeterno, was pretty much entirely the story of Richard Alpert. Richard, the "adviser" to the Others who doesn't seem to age, has always been one of the most intriguing characters on the show. This is probably due the fact that his past has always been shrouded in mystery. In past episodes, we have seen Richard travel to the US to meet with John Locke when he was just a boy, we have seen him in the 1950s helping Daniel Faraday with the Atom bomb on the island, saw him in the 1970s dealing with the Dharma folks, and in the present day guiding Ben. In each case, hairstyles not withstanding, he looked exactly the same. Now we know why. Richard's back story is that he was living in the Canary Islands in 1867 as a poor field worker. His wife was on her deathbed, so Richard took everything he had to a local doctor to try and buy medicine. When the doctor refused to sell it for the small amount of money Richard had, a hysterical Richard accidentally knocked down the doctor -- killing him in the process. By the time he returned home, Richard's wife was already dead. The police came shortly thereafter to arrest him for the murder. Rather than being executed, Richard was sold into slavery. He was picked because he spoke English. He was put on board the ship, The Black Rock. The ship crashed onto the island (as we already know since that is where the castaways found the dynamite to blow open the hatch) and the captain proceeded to execute all of the slaves. Before he could kill Richard, the smoke monster arrived and killed most of the crew and the captain. Richard then briefly sees his dead wife appear. She tells him that they are both dead, and that he is now in hell. Shortly thereafter, the smoke monster returns in his human form - the man in black - and concurs with Richard's wife. He is dead, and he is in hell. But there is a way out. He needs to kill the devil (i.e. Jacob) and then he will be free and can see his wife again. When Richard does encounter Jacob at his statue (which was damaged by the Black Rock when it crashed on the island), he does not kill him. In fact, he is then convinced by Jacob that it is the Man in Black who is the evil one, and that he cannot be allowed to leave the island. Jacob then offers Richard a job. The job is to be the liaison between himself and anyone else who comes to the island. In exchange, he will be given anything he wants. He asks for his wife, but is told that cannot happen. Then he asks for eternal life; and with a touch from Jacob, he is made eternal. Richard then returns to tell MIB that he has chosen to go with Jacob instead. He is told that if he ever changes his mind, MIB will accept him on his side. He then gives Richard his wife's necklace, and Richard buries it. We all pretty much know the rest. But the issue of who really is the good guy and who is the bad one is not really settled. I'm leaning toward Jacob being the good guy, but I'm not 100%. Regardless, it seems like Richard (and pretty much everyone else who comes to the island) is, literally, a pawn in some game being played between Jacob and MIB. In the only non-flashback portion of the episode, it is revealed, with more specifics, how Illana came to the island. Jacob visited her in the hospital after she was badly injured. With his touch, she was healed. He tells her that she must come to the island, find the six remaining "candidates," and take them to the Temple. There, she is to find Richard who will tell them what to do next. As Illana tells the story, an exasperated Richard tells her that he has no idea what to do next, that Jacob is a liar, and that they should all listen to someone else. He then runs into the jungle to go to where he buried his wife's necklace over 130 years before. As Richard calls out for MIB to tell him he has changed his mind, Hurley appears instead. Hurley claims he can see Richard's wife, and he repeats her words to him - in Spanish. Whatever he repeated convinced Richard that she was, in fact, there, despite his not being able to see her. She says that they must prevent MIB from leaving the island or they will all be sent to hell. He agrees to stay on Jacob's side. Despite giving a lot of details about Richard's life, the episode did little to really explain, definitively, who Jacob and MIB really are. What is their relationship? Why can't one kill the other? Why did the smoke monster appear to be protecting the temple and the Others in the past, but is now a clear enemy? Is everyone really dead and in hell? Why is Jacob now communicating through Hurley, and why can't MIB tell? Is Hurley now the new Jacob since he is only one who can see him? Hopefully, we'll find out next week.